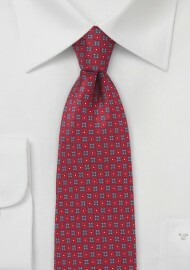 A classic red and blur foulard print silk tie that looks excellent in combination with a light blue dress shirt. 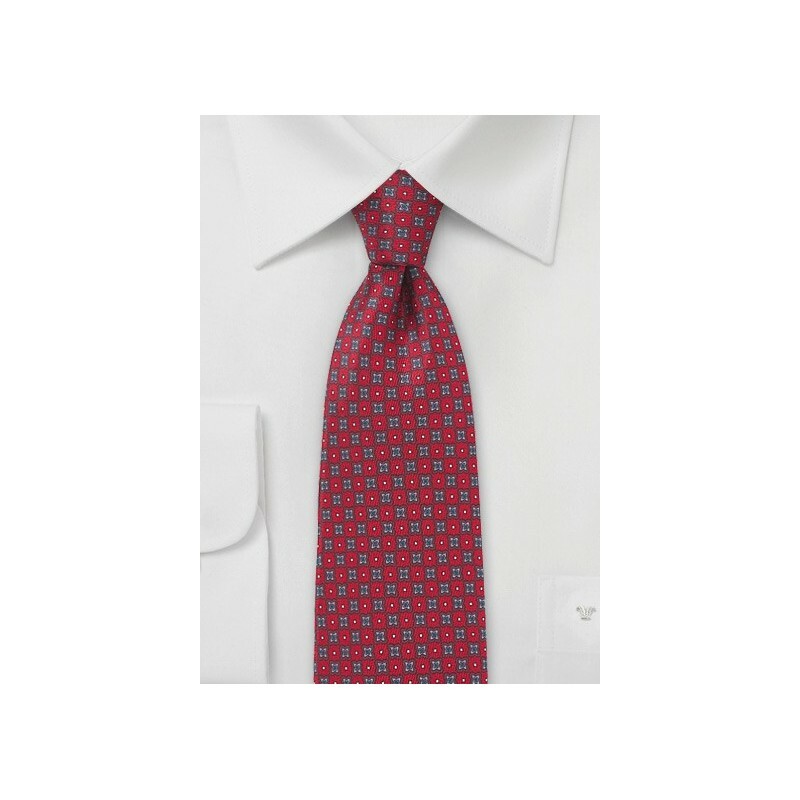 If you are looking for an elegant necktie that suits any season and will never go out of style, then this handmade piece by designer Cantucci is perfect. Also available as matching handkerchief as well as silk scarf.